A row over open source software systems at Bristol City Council has proven the government's open source ICT strategy unworkable, MPs have been told. 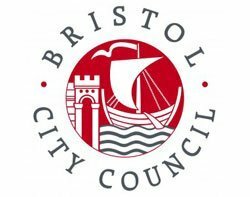 In a letter to MPs sitting on the Public Administration Select Committee, open source supplier Sirius Corporation said Bristol City Council – which had attempted to pioneer the use of open source software in the public sector – had abandoned its latest effort on the advice of Computacenter, the systems integrator supplying the authority's computing infrastructure. Mark Taylor, CEO at Sirius, accused Computacenter of skewing an open source proof-of-concept pilot to favour Microsoft, with which the systems integrator (SI) has a commercial relationship. Sirius CEO Taylor told MPs this illustrated how the UK's oligopoly of systems integrators ensured Cabinet Office open source policy "cannot and will not work". Computacenter bid for business with Bristol City Council in partnership with Sirius after the Council Cabinet voted to adopt an open source computing infrastructure last September, said the letter. But Computacenter threw Sirius off the project after the two disagreed over its viabililty. "My opinion is that the large systems integrators would not survive a transition to open source in the public sector, for the simple reason that the savings would be enormous," Mark Taylor told Computer Weekly. "The loss to their revenue would be massive. Their survival depends on there being no successful open source trials." A Computacenter spokesman said Taylor's statement was "factually incorrect and potentially libellous". Matt Kenny, client director at Computacenter, said: "If it's right for the council then we'll use open source software, if it's not then we won't." Computacenter later claimed the pilot had not been concluded. "Our commitment to Bristol City Council includes maximising the use of open source if it meets their defined business requirements," said Computacenter. Bristol City Council repeated Computacenter's assertions in another written statement. "It is unfortunate that Sirius feel that they are no longer able to continue supporting the project, but we look forward to continuing to work with other open source partners in the future," it added. Taylor's letter cited testimony from Martin Rice, managing director of IT SME Erudine, given to a Public Administration Select Committee (PASC) hearing into government IT failures. Martin Rice said systems integrators would court small suppliers to make their bids for large contracts look attractive, only to ditch them when they had won the business. More SMEs testified in secret to the PASC inquiry in May. They were fearful their complaints about the systems integrators' oligopoly - said to control 80% of the UK's £19bn-a-year public sector ICT - would lead to their exclusion from government contracts. Bristol local authority had, on advice supplied by Sirius in May 2010, sought to develop an ICT infrastructure that pioneered ideas central to Conservative pre-election technology policy, which had also been developed with contributions from Taylor. Conservative policy, on becoming coalition policy, recommended breaking systems integrators' ICT oligopoly and renewing government commitment to open source software. The Cabinet Office became so exasperated with systems integrators ignoring its requests for government customers to be given open source options that it has taken steps to police them. Computer Weekly understands the Cabinet Office has begun monitoring technology refresh cycles in central government departments, so it can catch suppliers on the hop. Taylor's letter to MPs alleged Bristol City Council had, in September 2010, asked its supplier at the time, Capgemini, to complete a pilot of the open source software stack by November. Capgemini simply ignored the request, said Taylor's statement. Capgemini was unavailable for comment. The council's ICT strategy infamously involved abandoning a five-year attempt to use open source software on its 7,000 desktop computers, but committed to open source as a means of achieving its "Digital City" economic regeneration. The Cabinet Office approved a strategy that said Microsoft was too powerful to make alternatives feasible for desktop computers, but it would at least try to honour government open source policy by building in open source into the infrastructure from which its PCs would work.